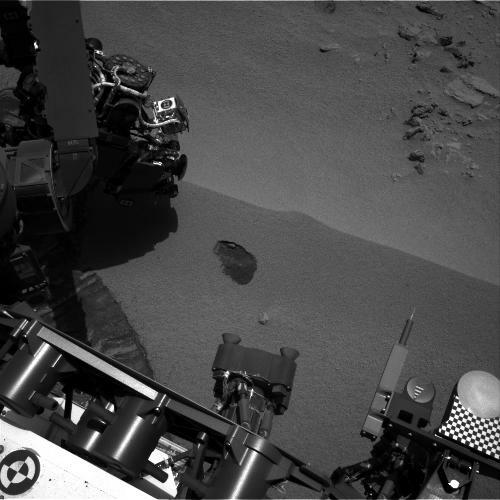 Sol 61 marked another headlining "first" - the initial deployment of Curiosity's scooping tool. 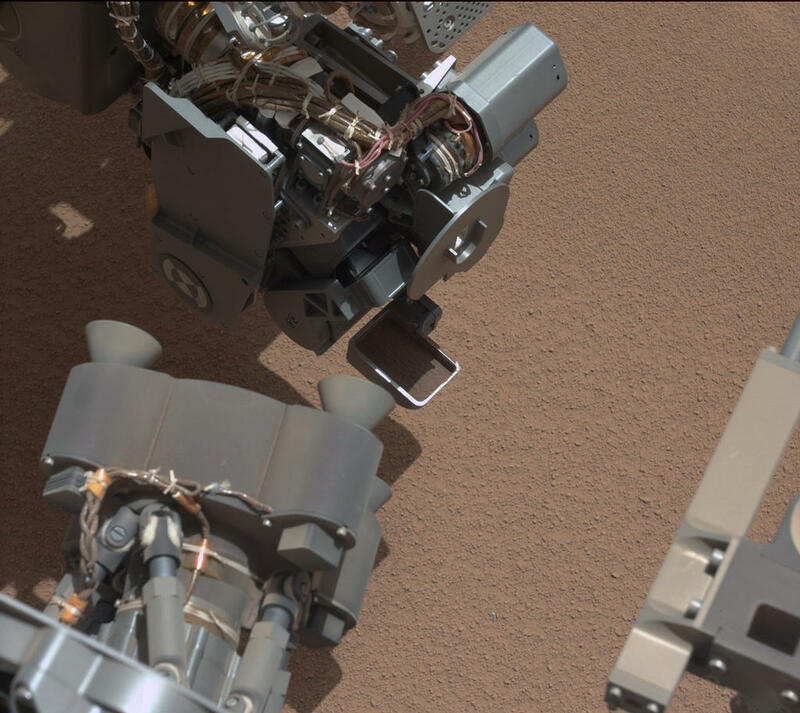 The scoop is part of the rover's Sample Acquisition, Processing, and Handling (SASPaH) subsystem, a suite of instruments, tubes, and gears that is attached to the end of a mechanical arm. This is where the martian exterior meets Curiosity's interior, a critical interface for the mission's scientific objectives. If SAM is ever to detect organic molecules in the soil, if CheMin is to examine the mineralogy of the dust grains, then you need to be able to deliver surface materials to the instruments. This is a raw image taken by the Navigation Camera showing where the soil from the first scoop was collected.